Jean Anouilh. Anouilh, Jean, 1971, photograph. AP Images. French playwright Jean Anouilh was an accomplished craftsman. Considered among the most important and influential twentieth-century French dramatists, he had a life and approach to literature that were both far from ordinary. While most French dramatists of the 1930s and 1940s not only wrote for the stage but also composed poetry, novels, or essays, Anouilh concentrated exclusively on writing for the stage. Among Anouilh’s other distinguishing features are his claims that he was apolitical and the fact that he rarely commented formally on his work. Dedicated neither to philosophical elaborations nor to theorization about drama, he instead labored over the exact wording, gestures, and situations of his characters. Albert Camus (1913-1960): Known best as an existential philosopher, but also associated with the Absurdist philosophy highlighted by Anouilh. Howard Hughes (1905-1976): One of the wealthiest people in the world, Hughes was, among other things, an American aviator and film producer whose mental illness led to his becoming a recluse. Gloria Steinem (1934- ): A writer and journalist, Steinem is an icon of American feminism and women's rights. The Call of the Theater Jean Anouilh was born in Cerisole, near Bordeaux, on June 23, 1910. His father, a tailor, and his mother, a violinist in an orchestra, undoubtedly imparted their respect for craftsmanship and a love of art, which he likely adopted during the hours he spent at the theater with his mother. Anouilh received his primary and secondary education in Paris, where he later studied law for a year and a half. In 1929, he went to work in an advertising agency, where he wrote publicity and comic film scripts for two years. From early childhood, Anouilh had been fascinated by the stage. He frequented theaters and was writing plays at the age of twelve. After a period in the military, he worked as secretary to the respected actor and director Louis Jouvet. He married Monelle Valentin, an actress who later created the roles of many of Anouilh’s heroines. Like many stage- struck youths, he tended to confuse real life with the theater, which, in his early plays, led him to sacrifice substance for theatricality. Undaunted by Jouvet’s lack of encouragement and by the near total failure of his first plays, he stubbornly resolved to devote his life to the theater. With the success of Traveler without Luggage (Le voyageur sans bagages) in 1937—inspired by the true-life story of a French World War I soldier who suffered amnesia during combat—Anouilh’s popularity began steadily growing over the next two decades both in France and abroad. Profoundly impressed by the plays of Jean Giraudoux and Luigi Pirandello, which broke with the tradition of the realistic theater, Anouilh recognized the value of poetry, illusion, fantasy, and irony as a means of portraying basic truths about human life. He was convinced that the essence of the theater and its quality of make-believe mirror a person’s pretense and self-delusion, a conviction that led him to exploit the artificiality of the theater in order to expose the falsity of human motives and the allegedly noblest principles and sentiments. Antigone and the Nazi Occupation. Just as Anouilh was making a name for himself in the French theater, the Nazi forces of Germany—under the command of Adolf Hitler—began to occupy the countries of western Europe, an event which led directly to World War II. The French and English both declared war against Germany after Nazi forces took control ofPoland in 1939; the following year, the Nazis advanced into France, defeating the French army and taking control of most of the country. A single region of France, with Vichy as its seat, remained outside German control due to an agreement reached by the Germans and the French government; many in France viewed this as collaboration with the enemy and refused to support the Vichy regime. 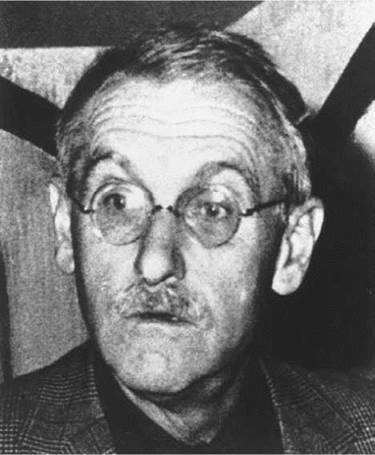 Although Anouilh was not an outspoken supporter of the French Resistance to Nazi occupation, his play Antigone (1942) is often viewed as an allegory of the situation in France at the time. The play was performed in Paris during the occupation, and was therefore subject to approval and censorship by Nazi officials. The deliberately vague references in the play—as well as the fact that it was inspired by an ancient Greek play of the same name—are likely reasons for the play’s ability to slip past Nazi censorship. Adamant about Solitude. Anouilh’s constant preoccupation with the technical production of his plays gradually led him to the role of director. In this capacity he produced, along with his own works, plays in line with his own views, such as those of Moliere. Completely absorbed in theater, he avoided outside involvements, choosing instead a secluded private life. His first marriage had ended painfully for him after Monelle had carried on several adulterous affairs, and it was not until 1953 that he married Charlotte Chardon, another actress. One of his children, Catherine, also followed the theater path as an actress, starring in several of her father’s productions. She would later write in her biography of her father in sympathetic terms, depicting him as a reclusive writer, and a color-blind, myopic man who never thought himself handsome. He was also, she wrote, a doting father and husband who was overly protective of his family. An Increasing Pessimism. Still, Anouilh’s plays provide important clues about his life and his most personal beliefs. He grouped his pieces into several categories according to their predominant tone—pinks, blacks, brilliants, jarring, costumed, or baroque. Whatever their classification, Anouilh’s works all offer a unified and profound view of the human condition. His characteristic heroes are essentially rebels, revolting in the name of an inner ideal of purity against compromise with the immoral demands of family, social position, or their pasts. Yet the efforts of his early heroes to escape from reality give way in most of the later plays to a profound bitterness caused by the realization that no escape is possible. Anouilh’s only escape was when he spent time in his elegant apartments in Paris or in Pully, Switzerland, near Lausanne, where he died on October 3, 1987. Throughout his long career, his unwavering love of the stage extended to second-rate musicians and struggling actors as well as people who had his sympathy and were often portrayed in his plays. He associated such people with the plight of the masses, from the Depression era to the time of postwar poverty. Appalled by modern society’s excesses and given to pessimism about the future, Anouilh had insisted on a private life where he could live according to his personal code of moral values and had avoided direct involvement in the political controversies of his day. With Anouilh both inclined to let his art convey his ideas and content to relinquish his voice to actors in order to maintain his privacy, his plays themselves have become a reflection of the man who composed them. They portray heroism under difficult circumstances, insist upon the values of solidarity and courage, and, most of all, emphasize individual freedom, even against impossible odds. Although, as one researcher contends, Anouilh cannot be linked with any particular school or trend, and because he was so private, scholars can only surmise who or what inspired Anouilh. An early influence was his father, who instilled in his son a pride in conscientious craftsmanship. He may owe his artistic bent to his mother, a violinist who supplemented the family’s meager income by playing summer seasons in the casino orchestra in the nearby seaside resort of Arcachon. While his earlier works were realistic and naturalistic studies of a sordid and corrupt world, Anouilh later adopted the existentialist views of Jean-Paul Sartre. In the methods of theater introduced by Louis Jouvet, Jean Giraudoux, and Roger Vitrac, Anouilh found a new angle for his writing. Italian dramatist Luigi Pirandello was another playwright whose work helped shape that of Anouilh. The Fine Line between Farce and Frown. Anouilh would occasionally leave the darker and more thoughtful side of his drama by striking a balance between farce and seriousness: He once said that thanks to Moliere, ‘‘the true French theater is the only one that is not gloomy, in which we laugh like men at war with our misery and our horror. This humor is one of France’s messages to the world.’’ From frivolous and fanciful to serious, Anouilh’s plays use the artificiality of the theater to criticize the human predicament—for example, the corruptive power of money, the incongruities of society, or the intricacies of decaying family ties. At times he engages his characters in role-playing and has them suffer the distance between social classes before allowing them to experience love’s power in conquering appearances. In several plays, dance and music are integral elements of the action. He carefully prepared choreography and musical accompaniments for such plays so that he could call them ‘‘ballets.’’ Except for the relatively rosy endings of a few, these works have lighthearted beginnings, gradually darken, and then end gloomily. Influence and Impact. In terms of literary style, Anouilh is difficult to categorize, because his work shows evidence of all major twentieth-century French artistic trends. Because of his collaboration with many of France’s greatest artists, the complexity of Anouilh’s work is unsurprising. Also of no surprise is how, after fifty plays in fifty years, Anouilh has a wide-reaching sphere of influence in both the past and present of French theater. Antigone (1942). Premiering near the end of the German occupation of World War II, Anouilh’s reinterpretation of Antigone was a great success because the French audience identified with Antigone’s resistance to her uncle Creon, the ruler of Thebes. In a review for Horizon, Germaine Bree insightfully notes that the essence of Anouilh’s characters is a ‘‘fidelity to the role one is designated to play, the acceptance of oneself in a given part whatever its essential absurdity.’’ Critic John Edmond Harvey also captures the core of the conflict: ‘‘Heroine and spectator alike uncover the true meaning of her role. Her destiny is not, as everyone has believed all along, to subordinate civil obligations to those of family and religion. Creon lets slip a few words in praise of everyday happiness and all is over: Antigone pounces on these words, and in a flurry of rhetoric she suddenly understands that her role is to reject compromise, to spurn all life which is less than perfection.’’ For a French public a few months away from liberation, the sobriety of Antigone heightened the tragedy of Antigone’s negation. 1. In Antigone why do you think Anouilh writes in the stage instructions that the play should be set ‘‘without historical or geographical implications’’? How does the lack of environment help or hurt you as you read and picture the set[ting]? 2. Imagine you are directing Antigone. What feelings and ideas could you evoke with select settings? Consider a countryside setting, a castle setting, an alley, and a bedroom. What setting would you choose to convey the play’s message, and why?